Born in Edinburgh, he was the son of the marble-cutter and sculptor William Mossman I , and the brother of sculptors John Mossman and William Mossman II . He moved to Glasgow with his family in 1830, and threafter was closely associated with the family's firm of monumental and architectural sculptors, J & G Mossman . After showing early promise in modelling and carving under his father's tuition, he moved to London after winning a chance to study at the RA Schools, where he won a first prize for the 'Best Model in Sculpture'. His talents were also noticed and encouraged by the eminent sculptors Sir William Behnes and J H Foley , who occasionally employed him in their studios as an assistant. His work also attracted favourable comments from (Sir) John Everet Millais, when he saw two of Mossman's exhibits at the RA , in 1846. Whilst in London, Mossman lived at 5 Greenland Place, Judd Street, Brunswick Square, with Allan Cunningham, the Clerk of Works at Sir Francis Chantrey's sculpture studios. Cunningham was a friend from Scotland and a former stonemason, who is now remembered as the author of 'The Lives of the Most Eminent British Painters, Sculptors, and Architects' (1830). After returning to Glasgow, he partnered his brothers in the family firms, J W & G Mossman and then J & G Mossman , at 83 Frederick Street, after their fathers' death in 1851, and was responsible for designing much of the firm's prodigious output of monumental sculpture. He is credited with producing the statuettes on the Gothic Mathew Montgomery Monument in the Necropolis (c. 1842, statuettes now in storage), and the obelisk there to Agnes Strang, which features a fine relief of a group of children mourning at a grave with a headstone inscribed simply 'Dearest Mother' (c. 1851). He is also reputed ro have produced his father's monument (later his own) in Sighthill Cemetery (1851). It is almost certainly that he assisted in the production of the firm's architectural sculpture, although confirmation of his individual contribution or independent commissions has yet to be found. As an artist he was Regarded by some to be the most talented of his family, and his work was admired by his peers for its poetical genius and fancy. He is chiefly remembered for his ideal works, such as Wayside Flower, Kilmany, Prince Charles Edward, The Ornithologist, and Hope. A good example of his portrait work is the marble bust of Hardin Burnley-Campbell in the collection of Peter R Fane-Gladwin (1851). A close friend and associate of Alexander 'Greek' Thomson , he produced the Classical frieze on his Garnkirk Urn, which was commissioned by the Garnkirk Coal Company as their exhibit in the Great Exibition, 1851. This was later exhibited at their fireclay showroom in Buchanan Street and in the exhibition Alexander Thomson The Unknown Genius, held at The Lighthouse, Glasgow, as part of the City of Architecture celebrations, 1999. The Urn is now on display in Kelvingrove Art Gallery and Museum. Another of his works for Thomson is the marble fireplace in the hallway of Holmwood House, Cathcart, Glasgow, which features a winged cherub seated over a clock (1857). A co-founder and instructor at GSA , he was appointed as a modelling master at the school on 24 April 1854, at �25 per annum, and took classes from 8 - 10pm three nights a week. Living in Greenock for most of the last decade of his life, he produced monuments for the town's cemetery and portraits of local worthies. Amongst the most notable of his commissions there, was the monument in Greenock Cemetery to the local carver and gilder Archibald McVicar (1796-1861), which features a bronze profile portrait, which is signed with the sculptor's initials: GM (c. 1861). For Greenock Cemetery also, he produced the much larger and more elaborate monument to James Lockhart Brown, the Rector of Greenock Grammar School. This features a stone relief group of Brown seated with some of his pupils, based on an earlier painting of the scene. Mossman later reproduced it again in plaster for display in the Watt Library (1847). (Amongst the pupils depicted was the future painter, Norman Macbeth, who would eventually paint Mossman's portrait). Moving back to Glasgow in the early 1860s, he resided at 30 Grafton Street with his wife, Agnes Dalziel MacNab, and his sons, John and William. An attack of Epilepsy caused his death there on 11 October 1863. This was registered by his brother, John Mossman, and his obituary, written by J H Foley, in the Architects Journal, noted that his constitution had not been up to dealing with the 'day and night application' required of a successful sculptor. He had infact been suffering from bouts of Epilepsy for 15 years before his death. 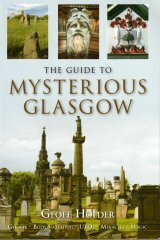 He was buried beside his father in Sighthill Cemetery, the obelisk which marks their grave having (reputedly) been designed by Alexander 'Greek' Thomson and carved by Mossman himself. At his death he was working on three commissions: a sketch model for a statue of Alexander Wilson, 'The American Ornithologist', which was eventually completed in bronze by his brother, John, and erected in Paisley, in 1875; a monument to John Galt for Greenock Cemetery; and a life-size figure of Hope, which was described by Foley as 'a noble statue, giving evidence of true genius'. Mossman's portrait, by Norman Macbeth, was exhibited at the RGIFA in 1866 (Cat. 408). Mossman's scrapbooks, which contain many of his drawings, together with his family correspondence, are in the care of the University of Glasgow's Special Collections (GB 0247 MS Gen 551/36). J & G Mossman Ltd closed its Glasgow office and showroom on 27 May 2011, although the company continues to trade from its main office at 42-4 Parkhead Road, Alloa, Clackmannanshire, and their other branches around Scotland. The team at glasgowsculpture.com are grateful to Mr. Peter R Fane-Gladwin for permission to use his photograph of the bust of Hardin Burnley-Campbell, his great grandfather. Death Record (George Mossman), Central District, Glasgow, 644/1 1464.